Haven’t yet jumped on the “tiny hotel” train? 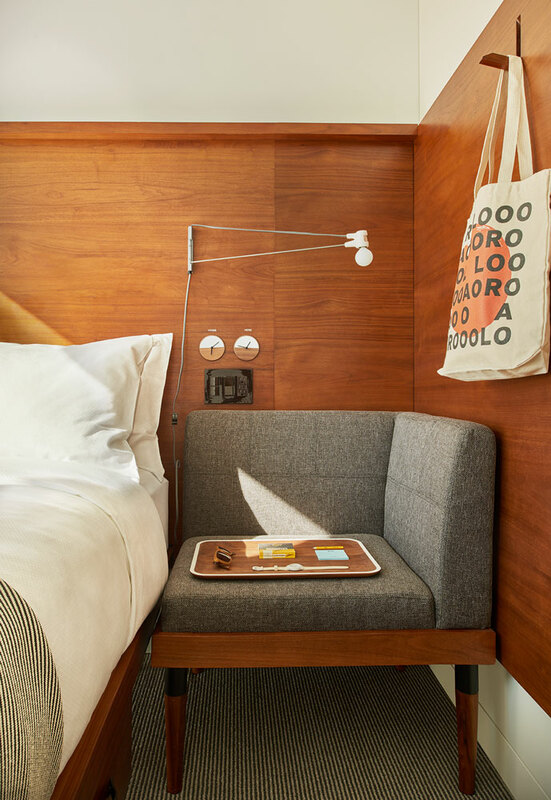 Arlo Hotel NoMad, NYC, will give you a reason to start. Set in the heart of the City that Never Sleeps, Arlo NoMad–or “NOrth of MADison Square Park”–places Manhattan at your fingertips. Planning to visit the Empire State Building? Easy; it’s down the street. Taking on New York’s famous nightlife and bite-life? As you should; it spans for miles around. But if the concrete-jungle expanse becomes too daunting at times, have no fear: Your homey micro-hotel is just waiting to give you solace. Guestrooms at Arlo are purposefully quaint and thoughtfully designed, inviting you to relish some peaceful R&R in a cozy and elegant space (but don’t be fooled: Small size does not equate to small snazz). 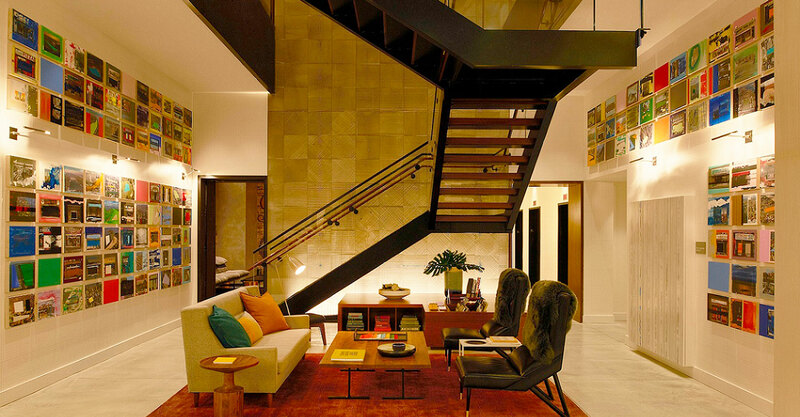 Alternatively, the hotel’s common areas are not only expansive, but plentiful, urging guests to socialize and enjoy some time “in” on the town. 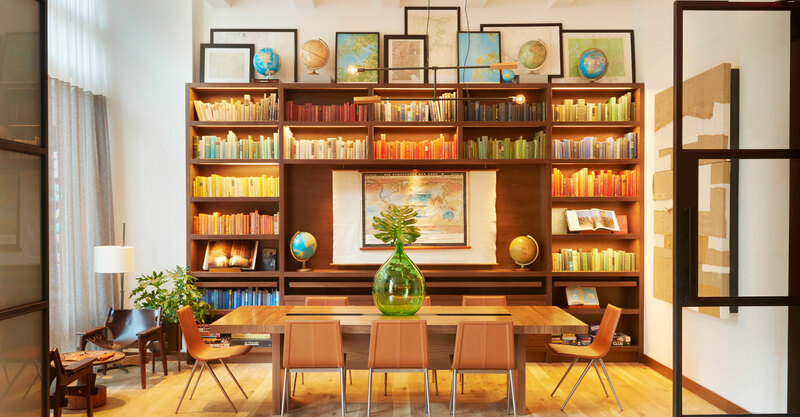 Best of all, customer service here is notably top-notch, reflecting the good vibes permeating the property: playful, polished, and perfectly on-point. 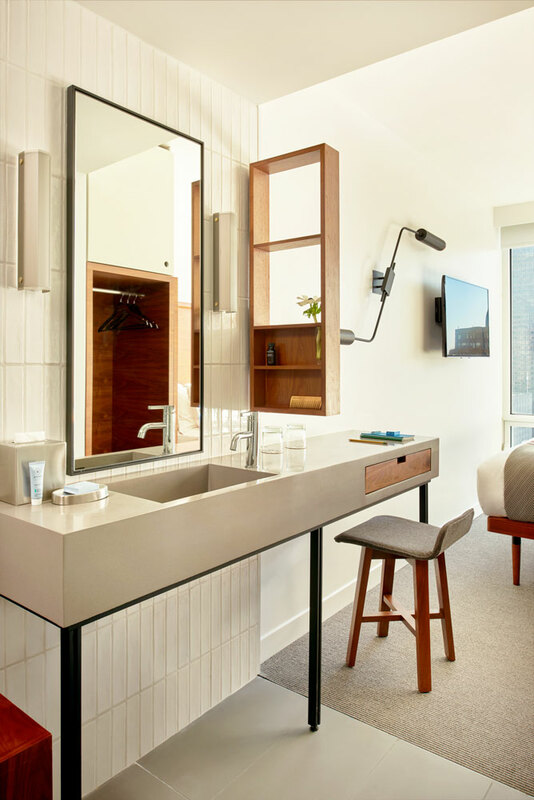 What Arlo’s 250 guestrooms may lack in size, they make up for in efficiency, class, and walls of glass (ie. Some truly killer views). In Sky rooms, this entails wraparound, floor-to-ceiling windows that give you the illusion of floating above the city–and in Terrace alternatives, these slide away to reveal furnished balconies, which are actually bigger than the rooms themselves. 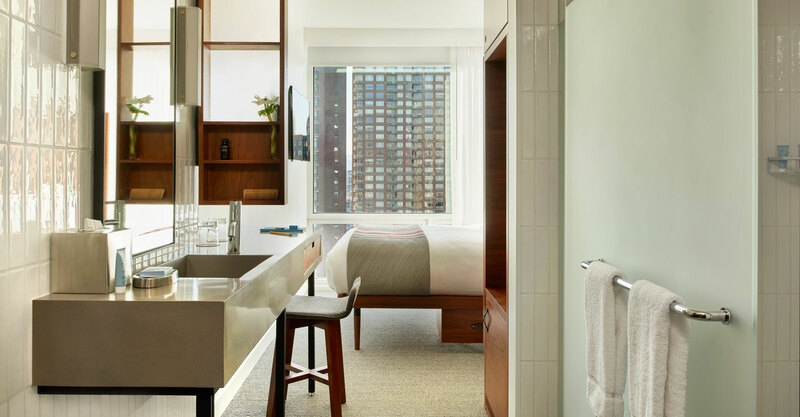 The theme continues to your glass-enclosed rain shower in the modern bathrooms, accompanied by handmade porcelain tiles and Blind Barber bath products (made with natural oils). Tech touches include automated window shades and free WiFi, as well as LED TV’s, Bluetooth radio, and USB charging stations. You can also make yourself at home with open pegboard, custom-designed “closets”, as well as under bed storage and a mini-fridge (to accommodate your drank collection, of course). 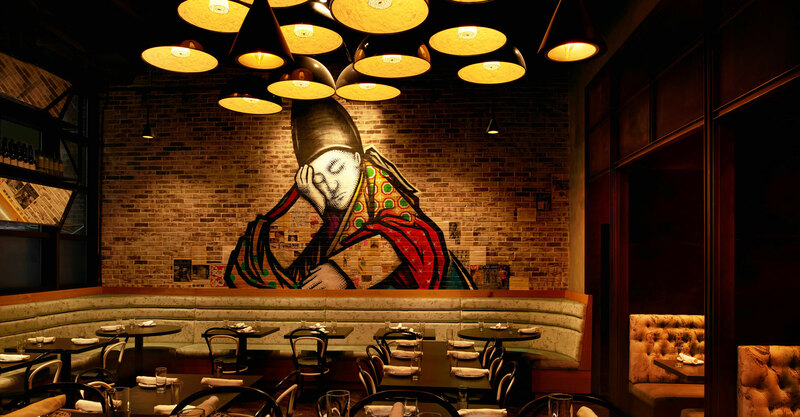 NY-notorious Three Kings Restaurant Group, led by Chef Dale Talde, handle all food and beverages at the hotel. Their menus–all stemming from main restaurant, Massoni–focus on local, market-driven ingredients, and are notably “Italian-ish”: Giving nod to favorite dishes of the traditional fare, but incorporating any flavor influences “found at an arm’s length” (which in this melting-pot city, can pretty much encompass anything under the sun). Arlo’s drinking and dining areas, like the rest of this elegant property, somehow master a winning blend of casual + high-design; and in the spirit of Kindness, even Massoni's salvaged wood floors came from a 100-year-old garage nearby. Talk about reuse + recycle. Massoni – Savor Italian classics updated with creativity for breakfast, lunch, and dinner at this ground-floor restaurant. While boasting a notable focus on meat and seafood dishes, plant-based options are certainly available; feel free to request dish alterations, if desired. We recommend starting with an appetizer of Biriyani rice balls and spicy tomato sauce, or tuscan kale with green papaya, persimmon, basil, peanuts, and smoked sauce. Try out a pan-pizza for your main (apparently inspired by Pizza Hut, but gourmet), with topping combos like charred brussel sprouts and pistachio pesto, or curiously, pickled peppers and honey. For breakfast, you can never go wrong with avocado toast, spiced up in Massoni’s version with corn and calabrian chili oil. BARlo – This second-floor bar and cocktail lounge invites guests to unwind–either indoors, or out on its terrace. Snack on small bites sampled from Massoni’s menu, and sip on any number of top-shelf poisons: such as Italian wines, domestic or Italian beers, and innovative cocktails named after subway stops from around the city. The Heights – [*Opening Spring 2017*] You may have wined and dined atop city roofs before, but never have you experienced a place quite like The Heights. The 360-degree views from 31-floors up are one thing; but looking down at Manhattan through the bar’s extended glass terrace is a new–and potentially vertigo inducing–experience all together. Pair similar Massoni small bites with drinks named after other great “heights” of NYC: Brooklyn, Jackson, Dyker, etc. Bodega – This 24-hour, grab-and-go lobby shop is as welcoming as any New York counter, but ups the ante with its high-end products. The goods include various, eclectic snacks from local providers, hot cups of JOE coffee, and daily selections of pizza and sandwiches whipped up by Chef Talde, to name a few. 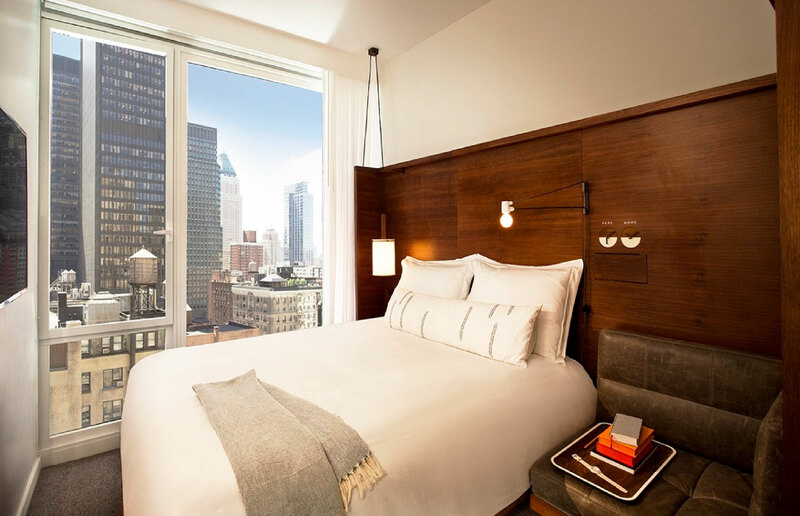 This hotel offers all urban comforts necessary for the ultimate, home-away-from-home, pampered Manhattan escape. Which means that instead of including it’s own on-site spa or fitness center (because let’s be honest–who actually has these at home, anyway? 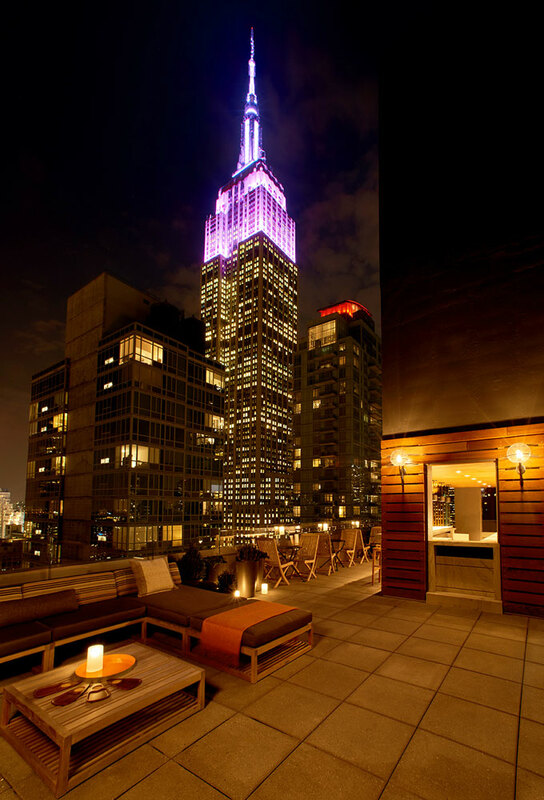 ), you’re invited to step outside into the Big Apple’s core, where plentiful options for both abound nearby. Arlo provides some neighborhood “Stay Fit” options on their website, to get you started–check ‘em out, here. Explore the city on wheels that are Kind to Mama Earth (and your sanity) by leaving gridlock traffic behind on Arlo’s complimentary bikes. They’re custom-designed by local Priority Bikes shop, meaning that Kindness to the community is part of the fun too (because supporting local businesses when you travel is always a sustainable option). Enjoy the nature and activities of Madison Square Park–and pick-up any trash you see!